If you've ever browsed the wine aisle at a supermarket, there's a good chance you came across wines by E & J Gallo. A maker of affordable California wines, the Modesto company is California's largest wine exporter. Gallo Wines opened for business in 1938 by brothers Ernest and Julio Gallo, sons of Italian immigrants who settled in the Sierra Nevada Foothills. 68 years later Gallo is the largest wine company in America, producing over 75 million cases a year. Gallo annually purchases over two-thirds of all the wine grapes grown in California. It ships to over 90 countries and has more than 45 brands in its portfolio. Yet for all this dominance, not much is known about the company. Privately-held, Gallo is known for not revealing much about its company or wines. This strategy has led to much muckraking and speculation. For instance, a large component of Gallo's historical success has been the marketing of cheap fortified wines such as Thunderbird and Night Train. Gallo still owns these brands along with other stellar offerings such as Boone's Farm and Bartle & Jaymes wine coolers but you will not see the Gallo name on these labels. The Gallo of today concentrates on projecting an image of quality and tradition, no doubt taking a page from the book of Robert Mondavi. Historically, Gallo developed its own brands but in recent years has embarked on an acquisition spree in an attempt to raise the overall quality of its offerings. Most people have not forgotten the cheap jugs of "Hearty Burgundy" and "Chablis" but likely in a couple generations a new stream of consumers will begin to associate the Gallo name with the prestigious wines of California. Based in California, Gallo has facilities in Modesto, Livingston, Sonoma and Napa. The recent acquisitions in Napa and Sonoma are notable as in the past Gallo eschewed the tony California regions preferring to remain in the vast Central Valley where the grapes were cheap and abundant. Gallo is known for constantly innovating and staying one step ahead of the competition. Ernest Gallo philosophy has always been one of pure business and he has famously proclaimed that his goal was to make Gallo the "Campbell's Soup" of the wine industry. Look for Gallo wines at your local grocery store or wineshop. 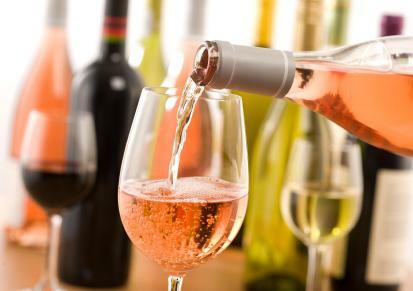 You can also find wines online by visiting Wine Searcher. With all of its brands and wineries, Gallo produce huge amounts of wine every year. The wines are affordable and quaffable, in a testament to modern wine mass production technology. If you're looking for an inexpensive every-day drinker, consider the wines of E & J Gallo.